Welcome to the inaugural article here at Hardy Boys Inspection Services! 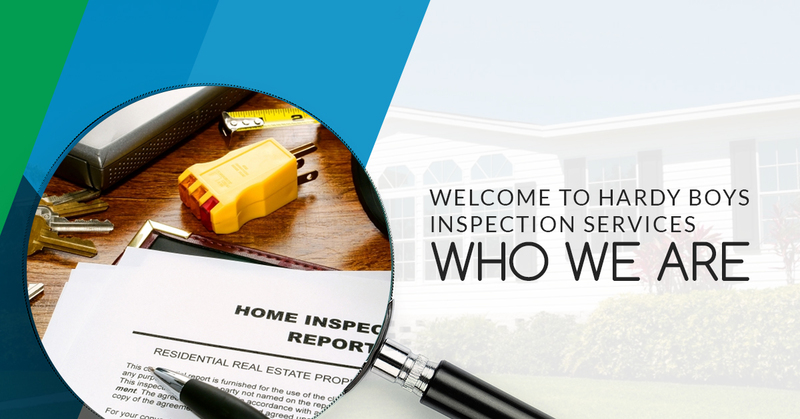 We are excited to be able to share who we are and what we do here at our local home inspection company, in addition to letting our readers know about some industry tips they might find handy down the road. In today’s post, we’ll be covering much more of the former, as we tell you a little bit more about what you can expect when choosing us as your home inspector. That being said, read on if you are looking for a home inspection company and you want to know what makes us stand apart from the competition! We are local inspection experts, with experience, education, skill, and a commitment to the extra mile to boot! We offer over 15 years of applicable industry experience, giving us the know-how to affordably handle the job whether you are looking for a pool, home, or septic system inspection! Experience alone doesn’t get the job done, however, which means we do our due diligence to stay updated on what’s going on in our industry in addition to making sure we are up-to-date with current standards practices, licenses, and trainings. Your satisfaction is our priority, so you can count on us to be both dedicated and thorough while performing home inspection services. Now that we’ve explained a bit about who we are here at Hardy Boys Inspection Service, let’s take a look at the services we offer. Pool Inspection – Though summer just ended, it’s never the wrong time of year to get your pool inspected. Whether you need an inspection as part of a general appraisal or you just want to make sure your family is safe, we’ll take care of everything. Termites Inspection – Stop termite damage before it starts — otherwise, the effects can be debilitating. We’ll scour your property for any signs of termite life. Thermal Inspection – Thermal home inspection services help set us apart as a company; they detect a range of issues in your home, from electrical issues to structural problems. Make sure an industry-expert performs your thermal inspection to ensure best results. Well Inspection – We provide well and septic inspections throughout the Hill Country. Remember, wells should be inspected annually by an experienced professional. Septic System Inspection – Get your septic tank and system checked here at HB Inspection Service. One thing about us; we’ll never turn down the chance to get some free marketing. This is especially true when we have the opportunity to highlight such glowing testimonials and reviews from pleased customers of the past. Below you’ll find a few recently posted reviews that we couldn’t turn down the chance to highlight! Good news travels fast! In this case, the good news happened to be about our home inspection services — a fact we won’t complain about. Trip, thanks so much for taking the time to let us (and others!) know about how we go about our business. We are thrilled you were so pleased with the results. Blogging about ourselves inherently comes with the territory of tooting our own horns a bit. We don’t mind so much as long as we can back it up with a stellar reputation that’s supported by reviews like Jocelyn’s. We are happy to go above and beyond expectations here at Hardy Boys Inspection Service! We want our customers to be happy with the results, yes, but a huge part of that lies in understanding the inspection report in the first place. As Eric noted, we help folks make sense of what they are looking at. It’s not rocket science, but it might take an expert’s guidance to help you fully grasp what’s going on. Thanks for your kind words and business, Eric! Candace, anyone you send our way gets the same, consistently great treatment from yours truly at Hardy Boys Inspection Service. Whether you hail from Fredericksburg, Lakeway, Dripping Springs, Wimberley, Marble Falls, Austin, Buda, or Kyle, we’ve got you covered with reliable and cost-effective home inspection services! At the end of the day, you want to be confident about your purchases. When that purchase is an investment like your pool, septic system, or home, there should be no doubt in your mind that you are receiving dedicated expertise. We hope you’ve enjoyed our first post here, and be sure to keep an eye out for a future post in which you’ll find some industry tips and more! Contact us to schedule your inspection today! We’d love to hear from you.